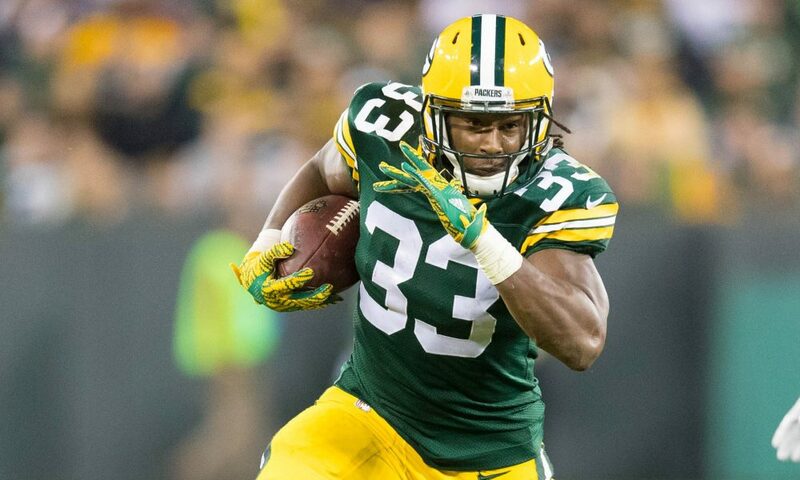 Home / 2019 Fantasy Football / Will Packers HC Matt LaFleur Finally Unleash Aaron Jones? Will Packers HC Matt LaFleur Finally Unleash Aaron Jones? Though not the sole reason for his firing, Mike McCarthy‘s inexplicable misusage of Aaron Jones in back-to-back seasons undoubtedly played a major role in his departure. Get this: among players with at least 200 career rushing attempts, Jones ranks first in NFL history in yards per carry (5.5). In fact, he has hit that exact 5.5 YPC in back-to-back seasons. Yet, inexplicably, Jones has never once hit 20 carries in a single game. In fact, his second-ever contest back in 2017, which was a 19 carry, 125 yard, 1 TD effort, still remains his career high in usage. This, despite the Packers going 2-1 in the three games Jones had 15+ carries in 2018, and only 2-7 when he had fewer. Insane. These games add up to 145 touches (24 rec), 883 YFS, and 9 TDs, good for a 290 touch (48 rec), 1766 YFS, and 18 TD pace. In other words, Jones would have scored 308 FPs (19.3 FPPG), which would’ve trailed only Todd Gurley, Saquon Barkley, Christian McCaffrey, and Alvin Kamara in 2018. Simply put, the man has not just produced when given the chance. Jones has been elite. Volume? Check. Glove-like scheme fit? Also check. Thankfully, new Packers HC Matt LaFleur seems likely to be the hero Jones’ truthers have been begging for. This high volume and production are no surprise, considering LaFleur’s entire offense hinges on establishing a run-game to then create unpredictability. (Side Note – for the most in-depth Matt LaFleur breakdown around, click here). Finally, Jones can expect to see far more consistent volume in 2019. As both the efficiency stats and just one look at his tape suggest, he’ll undoubtedly thrive. This is especially true considering LaFleur’s system fits Jones’ skillset like a glove. Not only will rushing volume in LaFleur’s scheme be of high quantity, but also of high-quality. Hailing from the “Shanahan Tree” after being groomed under Kyle Shanahan and Sean McVay, LaFleur’s run-game will be founded upon a Zone Blocking Scheme. With proper execution, this system creates massive lanes and allows backs with vision and acceleration to excel. Additionally, beyond knifing through defenses with the inside and outside zone games, LaFleur utilizes a variety of creative run formations and concepts. He’ll also stretch teams wide with jet sweeps and end arounds. Ultimately, this system all hinges upon a relentless run game that attacks from every angle. As a runner, this fits Jones’ style to perfection. Jones is incredibly explosive, and has the acceleration and vision to thrive in a one-cut-and-go style blocking scheme. According to his Scouting Report, Jones’ strengths include: “Good vision”, “Lateral burst gets him outside the tackles quickly”, and “Always seems to find the best opening.” Aka the formula for a Zone Blocking masterpiece. Then, with this run-game “spine” in place, LaFleur gets defenses selling out, consequently opening up serious space for misdirection and chunk YAC plays, especially via the pass. LaFleur dials up a bevy of screens and pass-routes for his backfield, and has had an RB reach at least 54 catches in three straight seasons. In short, LaFleur’s offense always has, and will likely continue to, funnel through his backfield. 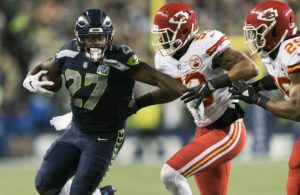 The volume is equally as impressive as the ability to get his RBs into the second-layer of the defense, and 35% or more of this upcoming Packers offense should come from the backfield… with Jones the clearest benefactor. Yes, Jones has a smallish frame and has dealt with a hamstring and two MCL injuries already in his brief career. Durability will be by far the greatest question mark. Yet, he stands taller and weighs more than Devonta Freeman, who was fed 281 touches (54 rec) for 1541 YFS and 13 tot. TDs just two seasons ago. Additionally, Jones was a complete workhorse while at UTEP, averaging 19.2 carries per game and finishing with 4,114 career rushing yards, 71 receptions, and 40 TDs. Indeed, LaFleur’s seeming “misusage” of Derrick Henry until the end of last season, will also give some pause. This would be a mistake. LaFleur tried to get Henry rumbling early, feeding the big back 11, 18, and 18 touches through three weeks. Henry was simply running soft, limping out to 273 yards and 1 TD on 84 carries (3.3 YPC) in the season’s first half. 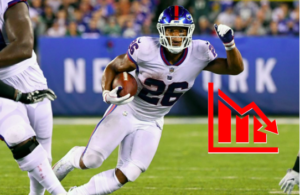 Henry credits a Bye Week pep talk from Eddie George with finally awakening him for the season’s stretch, including his dominant, fantasy title-bringing four-week run to close 2018. Fittingly, once Henry started to rumble, LaFleur did not hesitate to hand him the entire backfield reigns. Expect Jones, who’s always produced at elite levels when given the chance, to thrive early, often, and never look back. The Individual Talent fits the scheme like a glove, and the Usage is about to go up more than ever before. The RB1 Explosion is coming.